MONDAY, Feb. 12, 2018 (HealthDay News) — Imagine going to the mirror and finding a small translucent worm crawling across the surface of your eye. That’s what happened to an avid 26-year-old outdoorswoman from Oregon, who recently became the first human ever infected by a type of eye worm previously seen only in cattle. For days, the woman’s left eye felt irritated. It felt like there was a hair or something in her eye. In the end, the worms were removed from the woman’s eye without any lasting damage. Several of the worms were sent to the CDC for analysis. It took about a week of investigation — including reference to papers published in German back in 1928 — to specifically identify them as Thelazia gulosa cattle eye worms, Bradbury said. Thelazia eye worms in general are very rare. 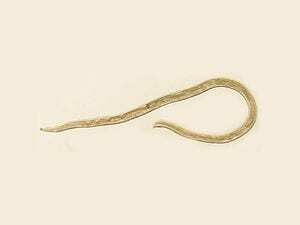 Only 160 cases — linked to species of Thelazia other than the one discovered in Oregon — have been reported in Europe and Asia, where the worms are more common, Bradbury said. “There’s only ever been in the history of the published literature 11 cases of [any Thelazia infection] in America, so it’s very rare and unusual,” Bradbury said. The World Health Organization has more about insect-borne illnesses.